This is a follow-up post to my previous blog post that builds Angular on Azure DevOps. 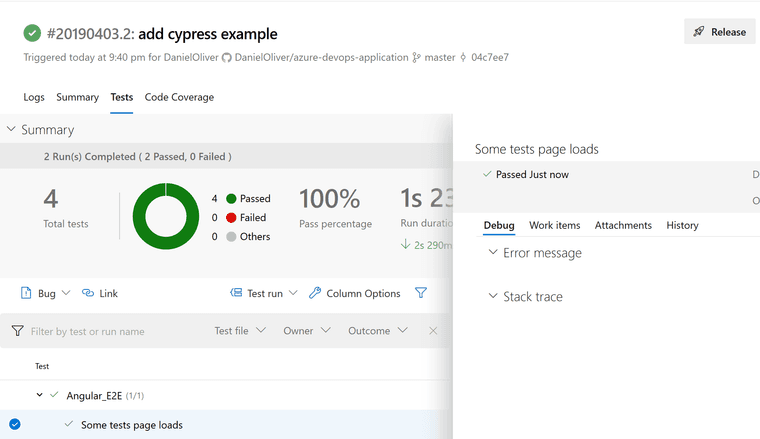 In this post I'm switching out the e2e tests for Cypress tests. Cypress has a lot of features, but this is going to be the absolute quickest to get something working. I have my base angular install, and I add the two below packages. and then added these commands to scripts in package.json. 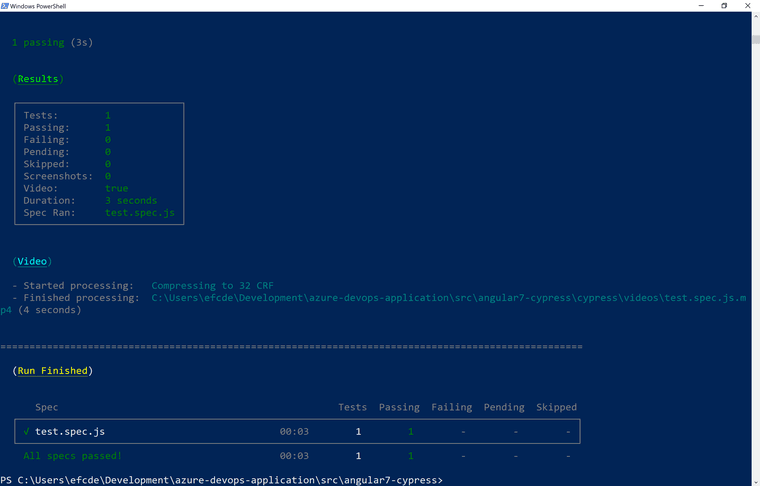 "e2e": "start-server-and-test start http-get://localhost:4200 cypress-run"
Run npm run cypress-open from the command line and Cypress will open and create some new files. 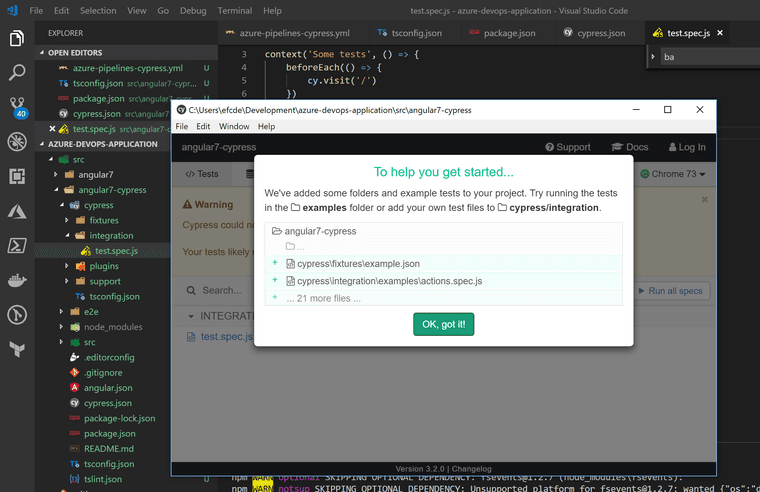 Run the command npm run e2e` and the Angular project will start up and then Cypress tests will run. The relevant Azure DevOps yaml is this. My code is here. Original post with the rest of the build is here.